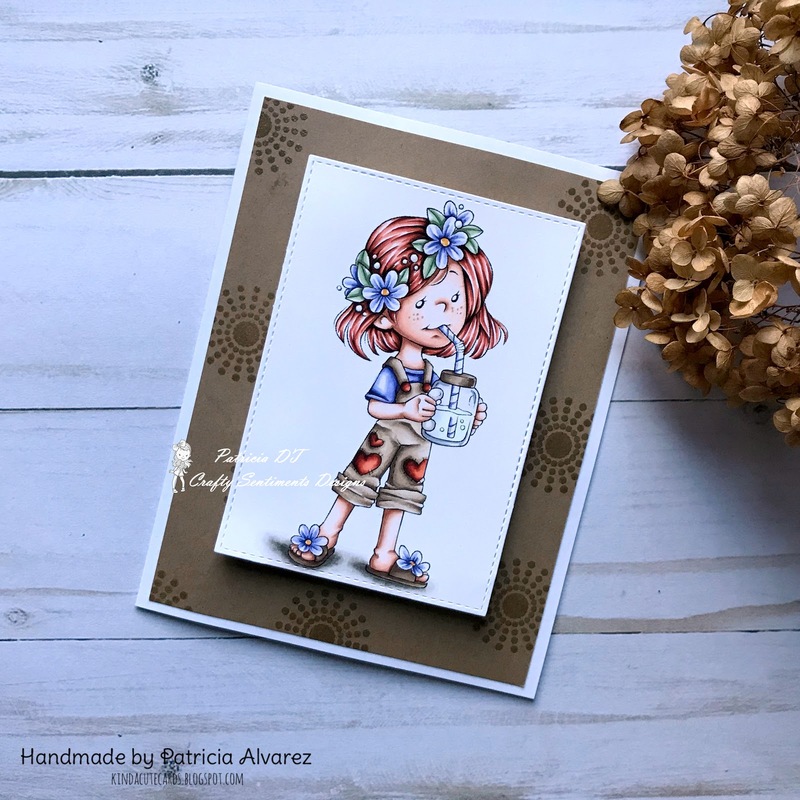 Kinda Cute Cards: Cooling down with the new release at Crafty Sentiments Designs. Cooling down with the new release at Crafty Sentiments Designs. I hope you are having great day!!! Today I am showing you my latest card. We are starting with the new release at Crafty Sentiments Designs Inspiration Blog. I am using this sweet stamp called Isobel cool. You will find it in the Crafty Sentiments Designs soon. I colored it with Copic markers and cut it with a stitched rectangular die cut. The background is made with kraft cardstock. I stamped the design with versa mark ink and added clear embossed powder. I love the effect of the clear embossed powder in kraft cardstock. The image is raised from the card using foam tape. The foam tape that I use it is very thick, but I love it! (I think it is 1/8). I hope you liked the card and you have time to take a look to the other projects that the team made. Such a fun card Patricia! Beautiful! I love the design and your stamped background. Lovely colouring, as always!